OPPO announced last month that the latest build of its ColorOS – with version number 5.2.1 – integrates the company’s latest Hyper Boost technology. The phonemaker announced that 17 smartphones in its portfolio were slated to get the update. Now, the company has teased that the feature could also find its way low-end smartphones. The technology is designed to improve the performance of not only games and apps, but also overall system performance. OPPO recently announced that on November 22nd – the fifth anniversary of ColorOS – it will announce some new updates to the custom software. The company hinted that the new version of the software will be much different from the past versions. Now, OPPO has gone ahead and shared a new poster on the social media, hinting at a new feature. According to the latest teaser by the brand, smooth and stable gaming should not be a feature limited to the flagship device. While it doesn’t reveal much, it’s being speculated that the company might bring the Hyper Boost Technology to the more affordable smartphones in its portfolio. Notably, the Hyper Boost Technology was announced with R-series smartphones in mind. The feature uses ‘Behaviour Aware Scheduling’ or BAS to adjust the frequency of the underlying smartphone hardware in just 0.2 milliseconds whereas the standard Android kernel takes 20 milliseconds. OPPO has also teamed up with leading game developers like Tencent, Netease, Unity, Unreal, and others to optimise the top 100 mobiles games for the Hyper Boost Technology. The possibility of the feature coming to the low-end smartphone is high since it doesn’t require a hardware upgrade. 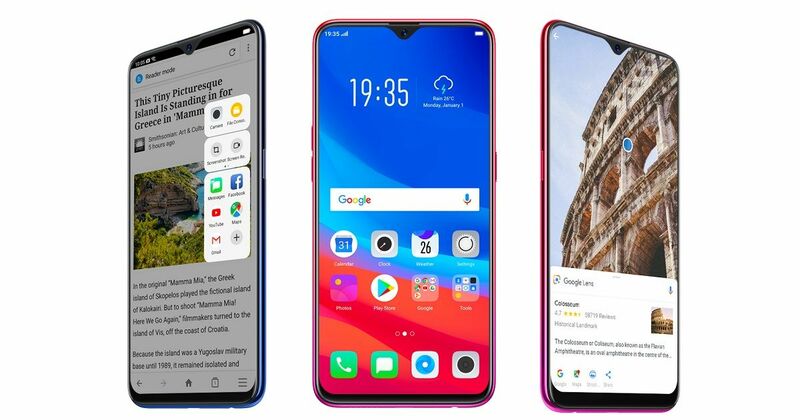 OPPO has announced recently that smartphones like Find X, R11, R11 Plus, R11s, R11s Plus, A83, A1, R9s, R17, R15, R15 Dream Mirror Edition, A5, A79, and A73 will receive the update this month itself. On the other hand, OPPO R9s Plus, A77, and A3 will get it in January 2019.